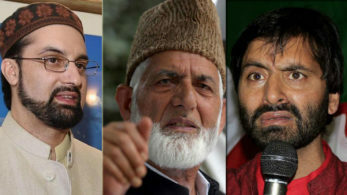 Srinagar: The Joint Resistance Leadership, an amalgam of Kashmir’s separatist factions of Hurriyat Conference and Kashmir Liberation Front condemned the grenade blast at Jammu bus stand that left a person dead and injured dozens. In a statement, the JRL said that attacks on unarmed civilians are the most reproachful act which should be condemned by all civilized humans. While praying for the speedy recovery of those injured in today’s blast, JRL said that our hearts go to those families whose kith and kin have lost their lives or got injuries in this blast and we express our solidarity with these families,” said the statement.